My parents were instrumental in cultivating my love for music at a very young age. Although they eventually pursued academic careers in psychology and education, my Mom was at one time an accomplished classical pianist and my Dad is still a very gifted jazz pianist. I am forever grateful to them for inspiring my love for music and the creative arts. I began studying classical guitar as a seven-year-old, but it wasn’t until I was almost twenty that I discovered my love for singing. That discovery coincided with the dawn of my interest in meditation and spiritual inquiry, and during that time, I began to write poetry and songs that reflected those new yearnings and awakenings. That was thirty-nine years ago and to this day, I continue to find music to be a remarkable vehicle for giving voice to the ineffable. The poet Rumi reminds us: “Let the beauty that we love be what we do.” The creation and sharing of this music is one of my favorite ways to express this love for the mystery and the miracle that is every moment. John's latest recording, What We've Always Been, contains 12 beautifully arranged songs. Titles include: "Dazzling Darkness," "Take What Has Been Given," and "The Seeker Is the Sought." It also includes a moving rendition of the well-loved Rumi poem, "Out Beyond Ideas." Already Shining was originally recorded live at the Kuumbwa Jazz Center in November of 2005. It features eight new compositions along with live renderings of two previously released songs, "Love, Serve, and Remember," and "True Emptiness." 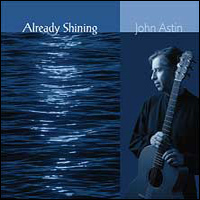 Already Shining also features two beautiful compositions based on the poetry of Adyashanti. Titles include: "Fall in Love with Now," "Too Intimate for Words," and "Only the Mystery." 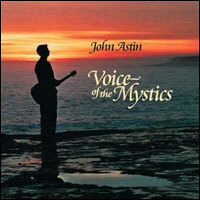 Voice of the Mystics: This release features beautiful compositions with lyrics from the poetry of great mystics such as Rumi, Kabir, and Jesus. Includes a stirring rendition of the Buddhist prayer of lovingkindness. Titles include "We Are the Mirror," "Dwell in the Peace," "Wake Up This Morning" and "Impermanence." With this recording of Clear Blue Mind, John continues his tradition of evocative songs of meditation and spiritual contemplation that point us to the Deeper Reality. Titles include "One Without a Second," "Transparent to the Light," "Submerged in Light," and "True Emptiness." Now is the Time is a compilation CD featuring 15 of John’s most well-loved songs drawn from his first three studio recordings (circa 1986-90): "Into the Light," Wake to the Beauty," and "Winds of Grace." Featured titles include "Make Me an Instrument," "Heavenly Rain," "Winds of Grace," and "Sanctuary." This recording once again showcases the talents of Gourd Music recording artists Barry and Shelley Phillips and the keyboard artistry of Jay Jackson. John is also joined on several songs by members of the Santa Cruz-based Mt. Madonna Choir. Reflections features nine inspiring compositions including "Believe in Love" and "The Witness." Remembrance: This magnificently crafted recording from 1991 features the song "Love, Serve & Remember," which has become John’s signature piece. The recording also includes the popular titles "There Is a Light," and "Dance of the One," along with two exquisite instrumentals.